Uganda will once again take on South Sudan in the qualifiers of the 2020 CHAN tournament that will be held in Ethiopia. This will be the second time in two years that the two nations face off at this round. The last time the two met, Uganda overcame South Sudan 5-0 on aggregate with Mbarara’s Paul Mucurezi scoring four times. Like it was in 2016, South Sudan will host the first leg in Dakar while Uganda are at home in the second. The winner between the two will next take on either Rwanda or Somali in round two. Both rounds will be played this year at dates yet to be confirmed while the tournament proper will run from January to Feburary 2020. 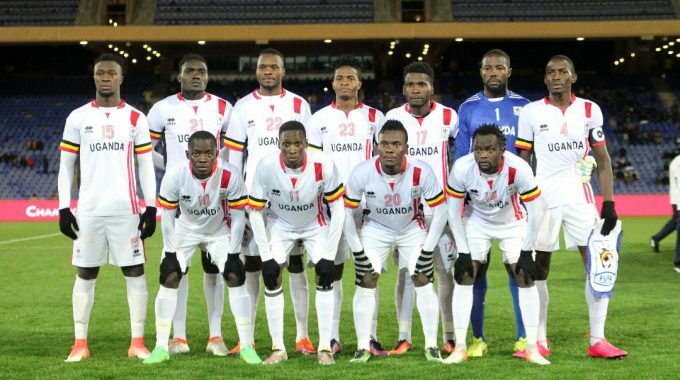 Uganda will be attempting to reach their fourth consecutive CHAN tournament after featuring in the editions in South Africa, Rwanda and Morocco. In the last edition (Morocco), Uganda was eliminated at the group stages of the competition, losing two and drawing the other of their three games. The Cranes have never made it to the knockout stages of the competition. The 2020 CHAN Championships will be the 6th edition in the competition. It features only players playing in their domestic league.